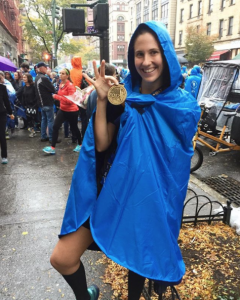 Five Friends of + POOL trained hard for the NYC Marathon and raised money to support the pool through their run! Huge shout out to Gia Alvarez, Emily Belote, Jancy Butterworth (pictured above), Dave El Helou, & Warren Perry! We had a couple injuries which meant not everyone ran but we cheered those who did on from Mile 17 and are grateful to all 5 for choosing to raise money for + POOL!